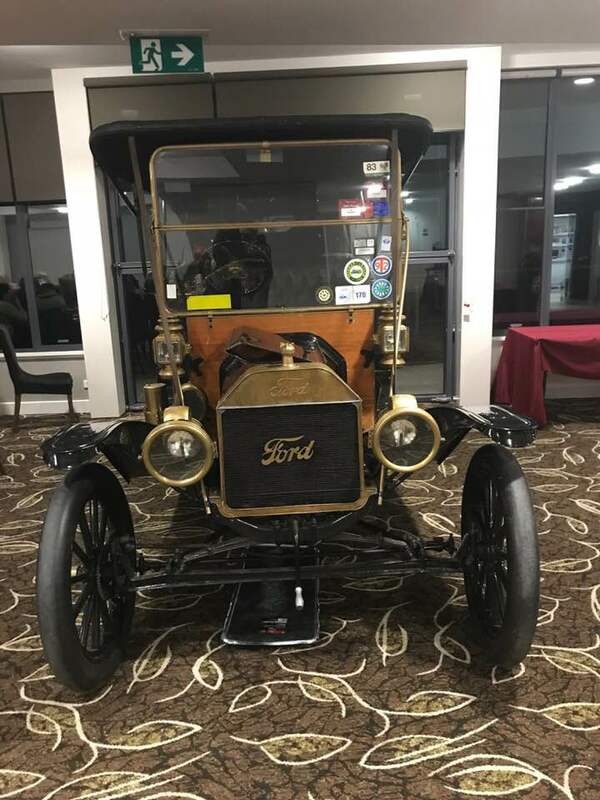 The Gippsland Sporting and Classic Car Register (GSCCR) monthly meeting and dinner at the Drouin Country Club this month featured this 1912 Ford Model T belonging to Bill Formby. 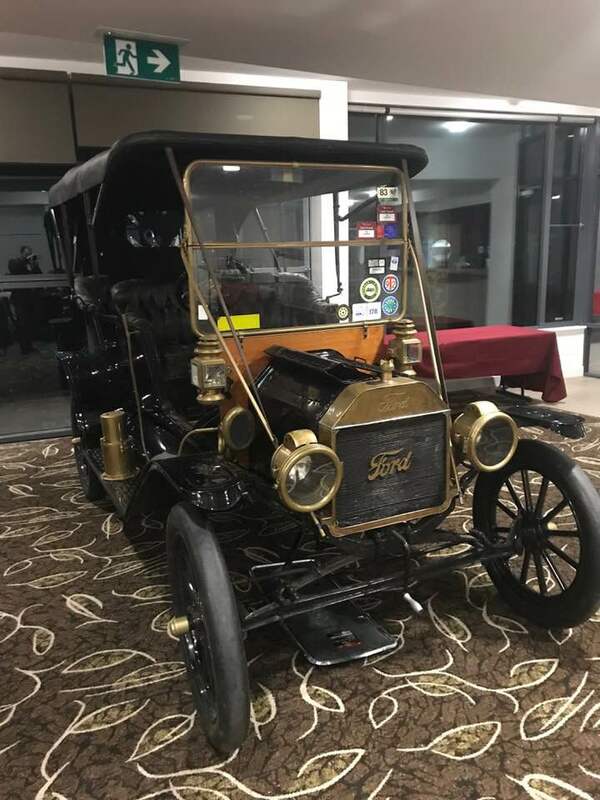 Yes, it’s more than 100 years old. 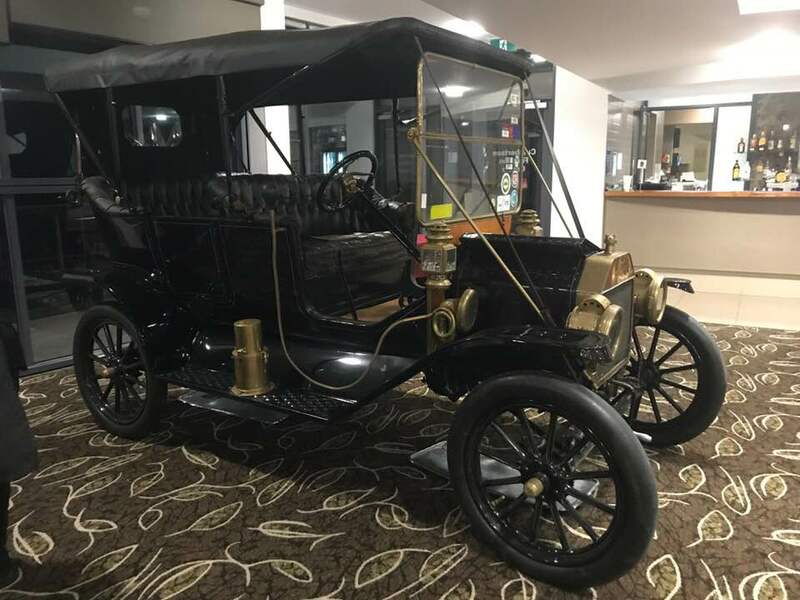 Some really cool features to note; starter crankshaft at the front, acetylene lamps and generator (on the running board), planetary gear system, pneumatic tyres but wooden rims, original interior stuffed with horse hair, lots of brass all round, with funky horn on drivers right-hand-side. A lot of materials and components still used today including the use of vanadium steel, but not so much the horse hair. All still running, and the owner actually drove it home that night after a couple bevys…v cool.